As with any reasonably large purchase, you will have to put a decent amount of thought into which vaporizer you want. One of the best ways to be sure that you’re getting the best product for your money is by paying close attention to reviews and testimonials about the model that you are considering. If you are looking to buy a new vaporizer, then you have certainly come to the right place, as I will be reviewing one of the more popular portable weed vaporizer options on the market. I’ll take a closer look at the DaVinci IQ in a minute, but I think it’s important to lay down the groundwork and discuss the type of vaporizer that this is. There are two primary varieties of vaporizers; the first being the portable vaporizer with the second being the desktop vaporizer. As you may have guessed from the names, the former is easier to carry around with you wherever you would like to go while the latter is a better choice for those looking for more power. Portable vaporizers tend to be the more popular option out of these two due to their lower price point and the fact that they are just more convenient. Of course, nothing is stopping you from getting a portable vaporizer for use on the go and a desktop model for use while you are at home. Now that I have covered most of the differences between the two types of vaporizers let’s take a look at the DaVinci IQ. This vaporizer is of the portable variety, and I’ll be thoroughly reviewing it so you can find out whether or not it will be able to fulfill what you need out of a vaporizer for dried herbs. As you may have guessed from the name, the DaVinci IQ is a portable vaporizer that is designed to be smarter than most other models. As with many other highly efficient smart vapes, this model can be controlled remotely from your phone so that you can get it started up, even in another room. Aside from the smart features, this product is designed to be as convenient as possible for beginners to use, with simple controls and a relatively simple instruction manual. If you have never used a vape for weed before, then you may find that the DaVinci IQ is an excellent option for you. You may be wondering exactly what goes into this vaporizer to make it one of the best options on the market for those who are new to the world of vaping, so let’s get right into it. First off, the mobile app handily guides you through all of the functions that are possible through it, so that is always a good place to start. I was personally highly impressed by all of the smart features that are present in this weed vaporizer, as I initially expected them to be something of a gimmick. After playing around with the Smart Path mode, I managed to discover a vaping routine that gradually improved the high over time. Of course, you don’t even have to use all of the smart features present on this vaporizer to get your money’s worth out of it, as the smoking experience is still highly enjoyable. The ability to set your exact temperature gives you a superior level of control over how you smoke and the type of high that you can enjoy. Once you set the temperature, it will be displayed on the exterior of the vaporizer by the grid display, which has no practical function, but it is indeed highly aesthetic. Being a more expensive vaporizer model, the DaVinci IQ even looks like it is worth the money that you spend on it. The 1.5-hour battery life should be more than long enough for even group smoking sessions. The inclusion of a replaceable battery is another impressive feature that allows you to keep vaping if you have a second one. Nobody likes having their session interrupted by the battery suddenly dying out. I was pleasantly surprised by the range of smart features that were present on the DaVinci IQ, and they ended up being some of my favorite parts of this product. The most impressive part of the DaVinci IQ is just how different it manages to be from the rest of the weed vaporizers on the market. For example, the Boost mode allows you to raise the temperature to the maximum in moments so you can get a powerful hit nearly instantly. On the other hand, you also have the convenience of being able to check your vaporizer’s status and battery life without even being in the same room. Unfortunately, there are some minor problems with the DaVinci IQ, but most of them are relatively minor complaints. Primarily, this vaporizer is one of the more expensive models on the market, so it may not be the right choice for you, especially if you are not going to make use of all of the smart features. I also feel like the designers focused a little too much on interconnectivity when they could have focused more on the oven and the vaping experience itself. While there is nothing necessarily wrong with the vapor that you get out of this product, I can’t shake the feeling that it could be better. 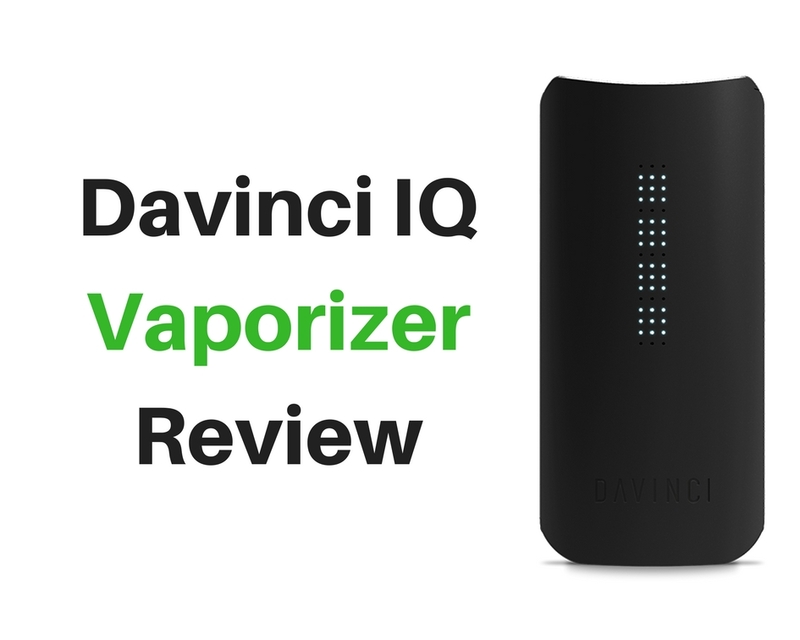 The DaVinci IQ is an excellent option for anyone who wants the smartest vaporizer on the market, but you may not get your money’s worth if you aren’t a fan of connected apps and similar features. I hope that this review has been able to represent the DaVinci IQ accurately.